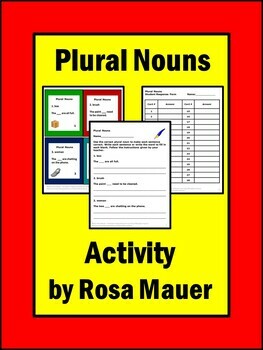 Plural Nouns are the focus of these 28 task cards. 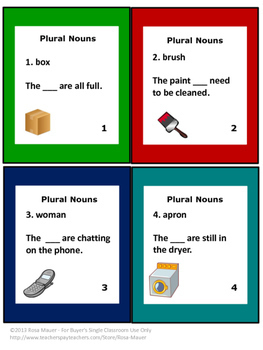 On each card there is a noun and a sentence. 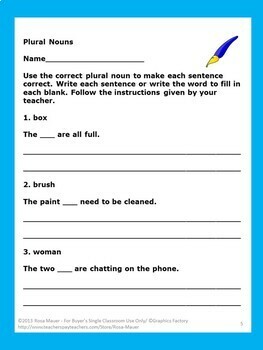 Students are to read the sentence and fill in the blank with the correct plural noun. A response form is provided for students. An answer key is given for the teacher. 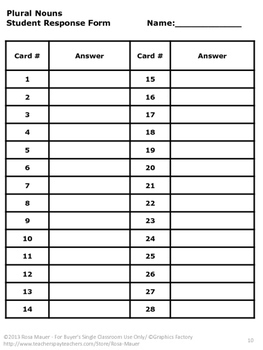 Text identical to the task cards is provided in a printable worksheet format. Visit my page to view a variety of book units and task cards.